“I cannot even begin to thank Susan from Website Designs Australia for the AMAZING work she did to create the website for Kangaroo Mother Care. Her enthusiasm, flexibility, efficiency, creativity and professionalism were second to none. Nothing was ever too much trouble and Susan went (and still does go) above and beyond. The support and advice she gave was invaluable. I cannot speak highly enough of my experience working with Susan, and her husband Geoff, and would not hesitate to recommend their services. “This is the third web site I have commissioned Susan to design for me over the years. Originally, the first two businesses I had, I hired someone else to design and they were OK but as this “I.T” world is developing so fast you really have to move with the stream or get left behind. That’s how I found Susan. I wanted someone to create new websites that worked today! “Susan was recommended to me by a friend who was happy with her website, when she learned I was concerned about my own website that had been designed by someone else. Things weren’t working right. After our initial conversation she found a lot of ‘internal’ errors, which I of course knew nothing about. I gave her my budget and time limit and I must say she was an absolute godsend and fixed all the problems and revamped my website too. She also fixed my Facebook and Google+ page which now looks very professional. Her professionalism was second to none and I thank her for the wonderful service she gave me. Needless to say I will be using her monthly website management services and I have been recommending her to my friends. Thanks again Susan. Susan O’Dea is very attentive and detail oriented. She contacted me just a few hours after I filled out the contact form on her website. She was going to meet with a client and couldn’t respond to the details of my request, but she wanted me to know that she had received it and that she would contact me when she got home. She did just what she promised, and I heard from her a few hours later. After exchanging some e-mails, she began work on my project within a few days. Susan gave me a firm estimate and honored it even when some issues took a bit longer to resolve. This gave me such peace of mind. In addition, she made additional suggestions for improving the function of my website because, while working on my website she discovered problems that I didn’t even know I had! With Susan working, I knew MY project was HER project…she takes, very seriously, the successful outcome of the work that she does. It is rare to find someone these days who will invest themselves personally in your website. Obviously, my website is most important to me and after that, there are few other people who care as deeply as I do…this is natural. But in Susan, I found a real person on the other end of the email who cares, just as much as I do, that my website succeeds. For Susan, my success is her success. These days, this is an unprecedented work ethic and altruism. I hired Website Designs Australia about a year ago after a close friend recommended them for my website designing. From the first day I spoke with Susan, my whole IT world became simple. With her fresh eyes and super skills, Susan had put together a user friendly, practical, and may I say good looking website. A simple email to Susan fixes everything, and if you are after knowledge, Susan is very understanding, listens to what your needs are, and always comes up with solutions. I believe Micro Loans Aust will be working closely with Susan at Website Designs Australia for many years to come, and I personally will continue to invite and recommend new clients to both Geoff and Susan. I worked with Susan this year when some of my WordPress websites needed an update. She also setup my membership site with aMember. I was totally amazed by the speed in which Susan works in WordPress and aMember and she does fantastic work. I highly recommend her work as it is absolutely top notch. 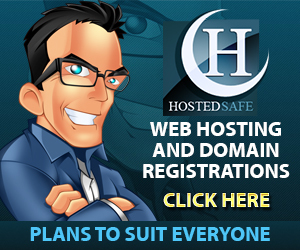 Geoff and Susan also have their own web-hosting business and have exceptional knowledge in that area as well. I have often asked Geoff for his help too. Thanks Geoff and Susan! Susan is that rare combination of extreme competence and highly personable. We needed an interim website for a minimal cost. Susan delivered on the budget and significantly over delivered on our expectations in terms of the design and ease of use and did it all within a short time frame. Susan will definitely be on my list of suppliers to engage again. I tried for 6 months to convert a hard-coded PHP website to a WordPress website with no success. Once I found out about Susan and her services and we came to agreement on the fees involved she was able to make the conversion in very quick order. Susan has been easy to work with and open to our views and made suggestions where appropriate. I have referred her to several of my colleagues who were looking for someone to redo their websites. I will be more than willing to call on her if the site requires changes going forward. “Thank you so much for all the information and help you provide Susan and thank you so much for your mentoring! It is so very helpful and that’s what makes your website service stand out from all the other web designers out there. Hand holding all the way is what so many of us novices are looking for and which is so difficult to find. I think you have done a brilliant job and my website is certainly a professional site, which is what I wanted with the right SEO and links etc. Plus it has already attracted the CEO of a digital magazine about books! “Susan and Geoff O’Dea, from Website Designs Australia are an amazing friendly couple that moved to our small country town a couple of years ago. I have been very fortunate to have Susan design our Business website this year & words cannot express how much I appreciate her work ethics & talents. Susan’s knowledge and experience in Website design is outstanding, very flexible to suit individual’s requirements, professionally handled and nothing is ever too much trouble. Our website is easy to follow for our clients and user friendly for our Business with the ongoing support and guidance given by Susan. “One of the first things I thought about when I started my little business was a website. I know next to nothing about how to make one, how to operate one, how to “get it out there”. But with the help of Susie O’Dea at WDA Designs, I now have a beautiful and functional website – which I am proud to say, Susie has featured in her portfolio. The help and support I have received from this amazing woman is incredible, and I would recommend her to anyone – she has so much experience in web design and all that other internet stuff (see how much help I need lol). “I cannot recommend Susan from WDA Designs highly enough! I had to redo my website after another company did a rebrand and update me but caused so many problems including loss of SEO rankings and bad backlinks so I had to start again on a budget. Susan has created an amazing website that has provided all the functionality I required, is easy to navigate and I think it looks stunning too. The advice she has provided me, and the time she has taken to explain things is invaluable and unprecedented! I have an ongoing relationship with WDA Designs now for my hosting, and to ensure my website always stays up to date. I am so happy and know anyone else would be too.